Oil demand is growing stronger than estimated. We believe shale production growth is set up to disappoint. Global oil liquids inventory is declining. 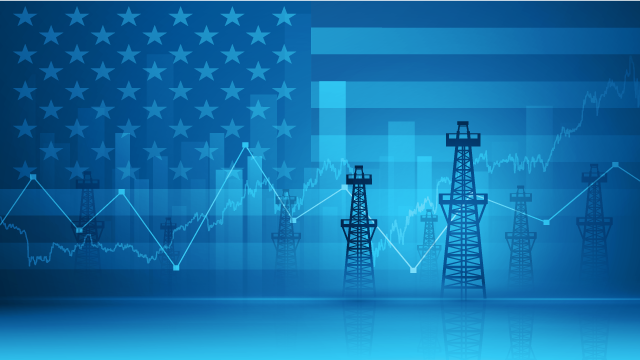 Combined, we believe these factors should lead to higher prices for oil and energy related stocks. Century Management reserves the right to modify its current investment strategies and techniques based on changing market dynamics or client needs. The information provided in this report should not be considered a recommendation to purchase or sell any particular security. It should not be assumed that the sectors discussed were or will prove to be profitable, or that the investment recommendations or decisions we make in the future will be profitable. Past performance of markets, composites, or any individual securities is no guarantee of future results. The performance of accounts in any Century Management (“CM”) strategy may be materially different at any given time. Differences that may affect investment performance include strategy type, cash flows, inception dates, historical prices, and fees. Positions held within each individual account may not be the same from one account to the next. Individual securities may be traded at different times as well as receive different execution prices. In addition, individual accounts may be pursuing similar objectives but may have different investment restrictions. Certain statements included herein contain forward-looking statements, comments, beliefs, assumptions, targets and opinions that are based on Century Management’s current expectations, estimates, projections, assumptions, targets and beliefs. Words such as expects, anticipates, believes, estimates, projects, targets and any variations of such words or other similar expressions are intended to identify such forward-looking statements. These statements, beliefs, projections, comments, opinions, assumptions, and targets are not guarantees of future performance and involve certain risks, uncertainties and assumptions, which are difficult to predict. Therefore, actual outcomes and results may differ materially from what is expressed or forecasted in, or implied by, such forward-looking statements. You are cautioned not to place undue reliance on these forward-looking statements, that reflect Century Management’s judgment only as of the date hereof. Century Management disclaims any responsibility to update its views, as well as any of these forward-looking statements to reflect new information, future events or otherwise. Factual material is obtained from sources believed to be reliable and is provided without warranties of any kind, including, without limitation, no warranties regarding the accuracy or completeness of the material.